With heavy hearts, Didi Hirsch Mental Health Services announces that Dr. Norman L. Farberow, co-founder of its world-renowned Suicide Prevention Center, died September 10 on World Suicide Prevention Day—a day that would not have been possible without him. “Dr. 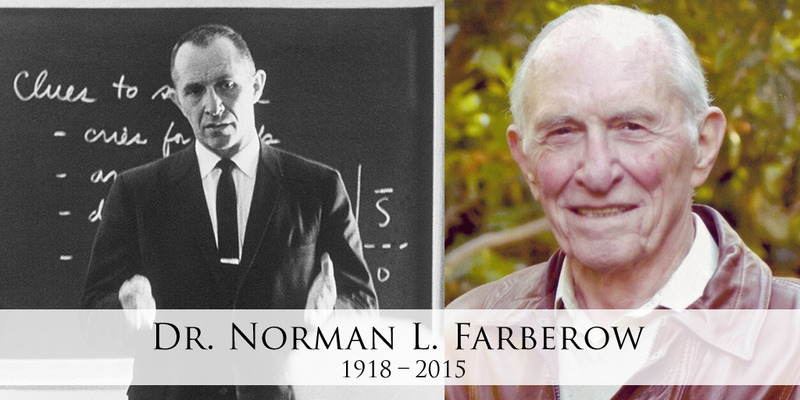 Farberow changed people’s attitudes toward suicide. He understood that people considering suicide were in terrible pain and how much compassionate listening can help people in distress,” said Didi Hirsch’s President/CEO Dr. Kita Curry.